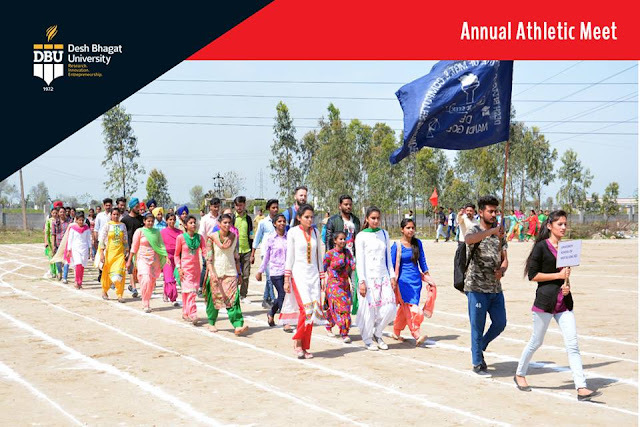 Desh Bhagat University organised its 4th Annual Athletic Meet with great fervour. The meet began with University Chancellor, Dr. Zora Singh hoisting the university flag and flying the colourful balloons. He inspired the students by emphasizing that participation is more important in sports than victory or defeat. 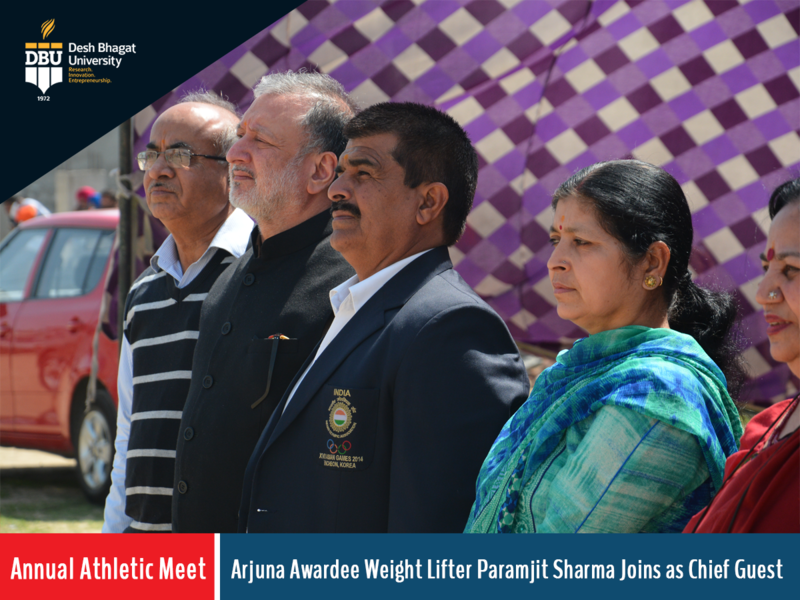 Arjuna Awardee weight lifter and Coach Mr. Paramjit Sharma from Punjabi University, Patiala joined as chief guest on inaugural ceremony. While motivating the youths about games he said that our youths has good sports talent, they only need proper guidance and direction. He exhorted them to play games and make games regular part of their life and keep away from all kinds of drugs. Mrs. Ushakiran Sharma was special guest on this occasion. 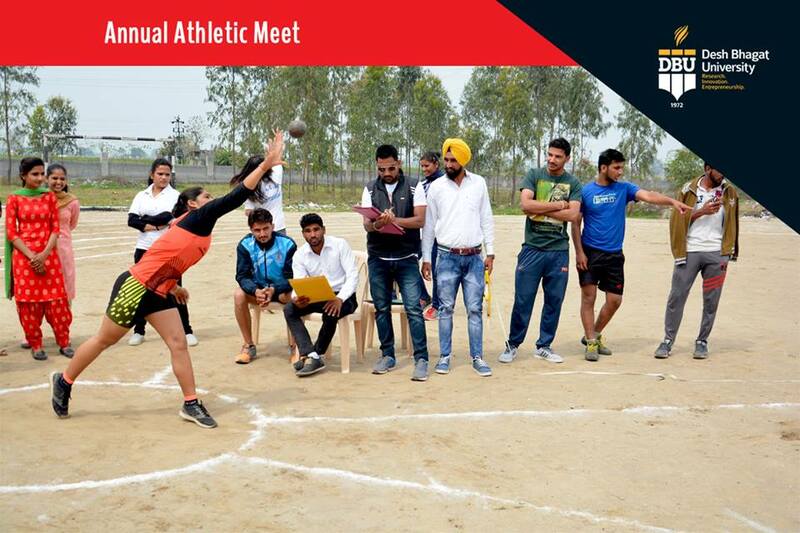 During the Athletic meet, individual and team competitions among students of various university faculties were held. These competitions included: Races of 400 Meters, 200 Meters, 100 Meters, Shot-put, Javelin, Basketball, Badminton, Table Tennis, Football Discus Throw and Long Jump. ete among girls. Faculty of Education lifted the Overall Champions Trophy. University Vice-chancellor Dr. Virinder Singh presided over the valedictory function and gave away the prizes to the winners. He appreciated the sports talent of the students. 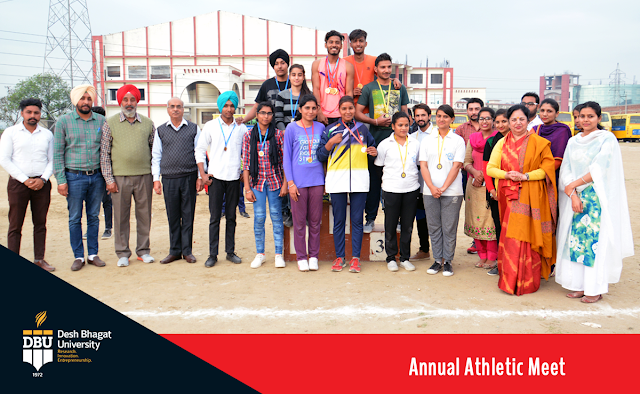 On this occasion, Director Dr. Kulbhushan, Director Dr. Surjit Patheja and large number of students from different faculties were present.Results of different events were as under:In Girls Category 800 Mtrs Race : Kanwaljeet Kaur got first position and Amandeep Kaur stood second (both from Faculty of Education). 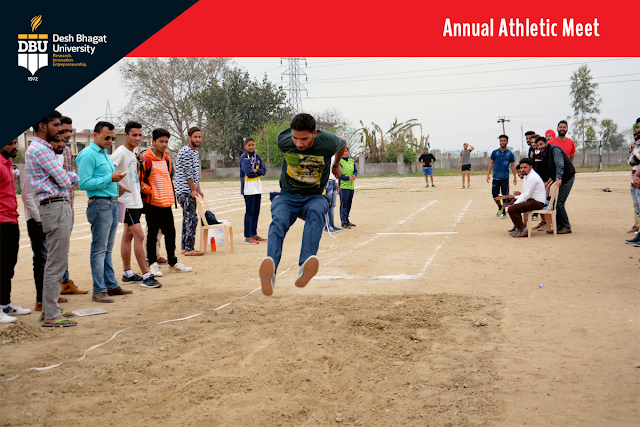 In long Jump: Amulpreet Kaur (Faculty of Nursing) stood First, Amannpreet Kaur (Faculty of Education) got second position. 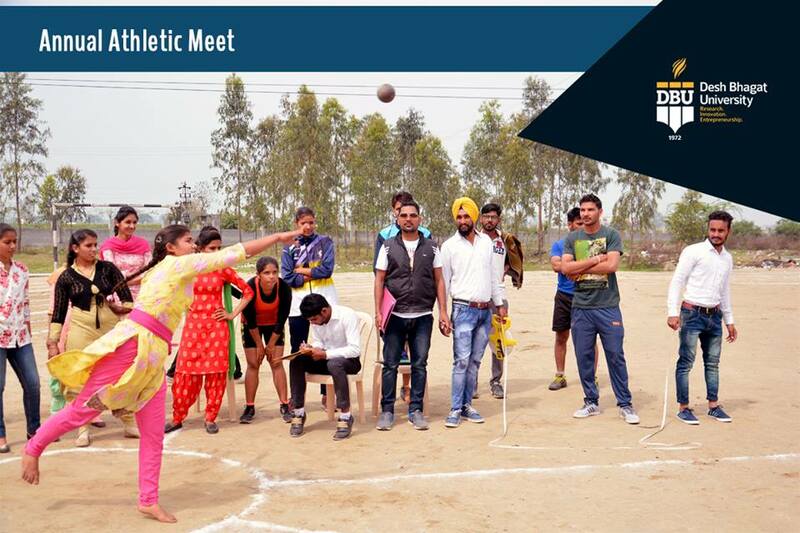 In Shotput : Parminder Kaur claimed First and Kanwaljeet Kaur- claimed Second position(both from Faculty of Education). In Boys Category, 800 Mtrs Race: Ankush Rahar (Faculty of Ayurveda) stood first while Parkash Singh (Faculty of Management) stood second. In 400 Mtrs. Race: Ravinder Singh (Faculty of Education) stood first while Ankush Rahar (Faculty of Ayurveda) stood second. In 200 Mtrs. Race: Ravinder Singh (Faculty of Education) stood first, Bikramjit Singh (Faculty of Management) stood second. In Discuss Throw: Muddasar Shakeel(Faculty of Management) stood first, Gurkaran Singh (Faculty of Engineering) scored second.